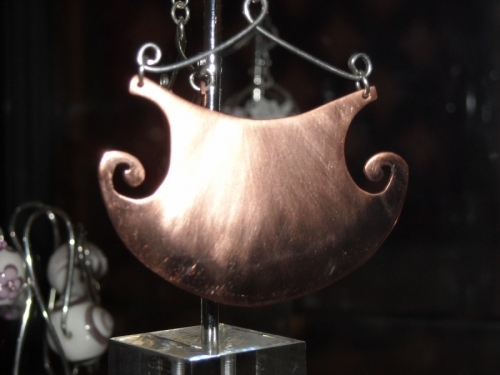 Custom Copper earrings for a client in the USA. The customer explained her idea which I then drew and created the final project based on the drawing. 2011 submission to the Yellow Head Rotary Arts Festival in Hinton Alberta. 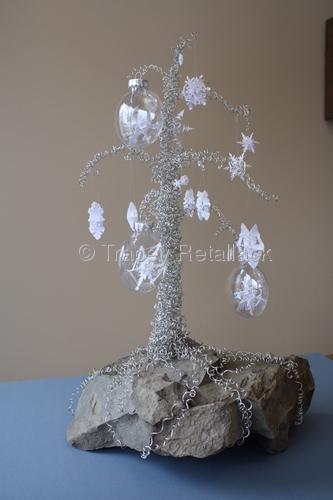 This is a collaboration with Mary A. Spytz who provided the rock and created the gorgeous snowflakes! We won Honours with Distinction! Not the best picture...sorry! This was my submission to the Yellowhead Rotary Arts Festival in 2010. I can't actually remember the name I gave it at the time, but it reminds me of a big blade so today it's name is Slice. 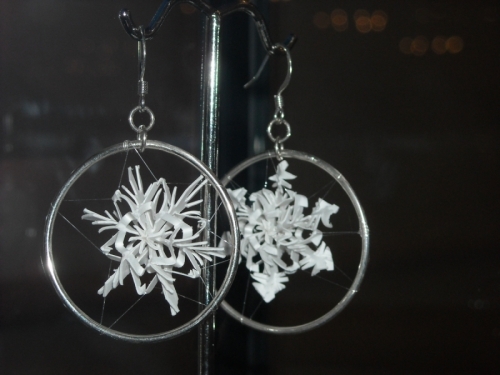 Know Two Snowflakes is a combined effort between Mary Spytz's Fractal Snowflakes and the metallic stylings of Tracey Retallack. The snowflakes are made of paper and the frames are sterling silver, but we all know the secret ingredients are creativity, heart and love. 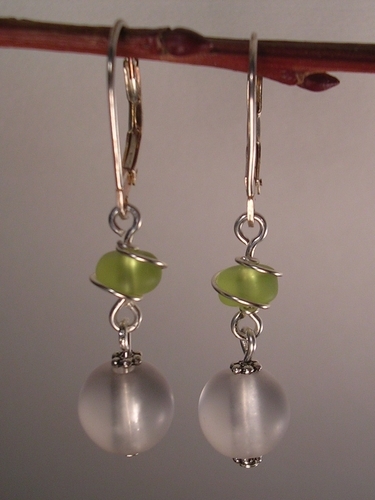 A matte clear bead hangs from a bright burst of frosted lime wrapped with silver plated copper wire. Shown on Sterling silver Euroback closures, but you can have hooks or posts if you like. Just let me know! 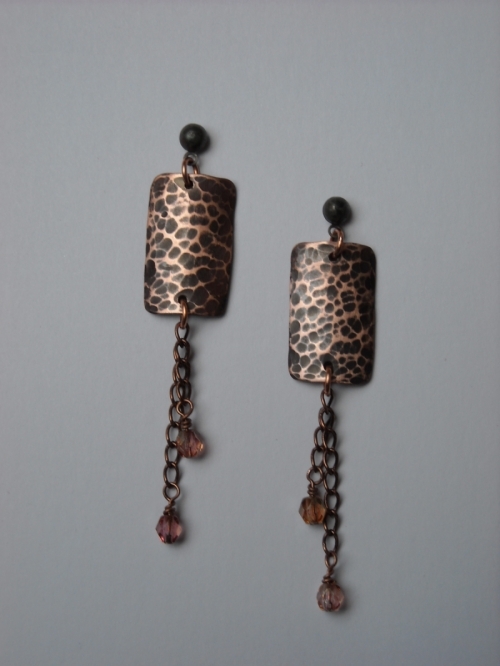 This pair was made to match a client's pendant.